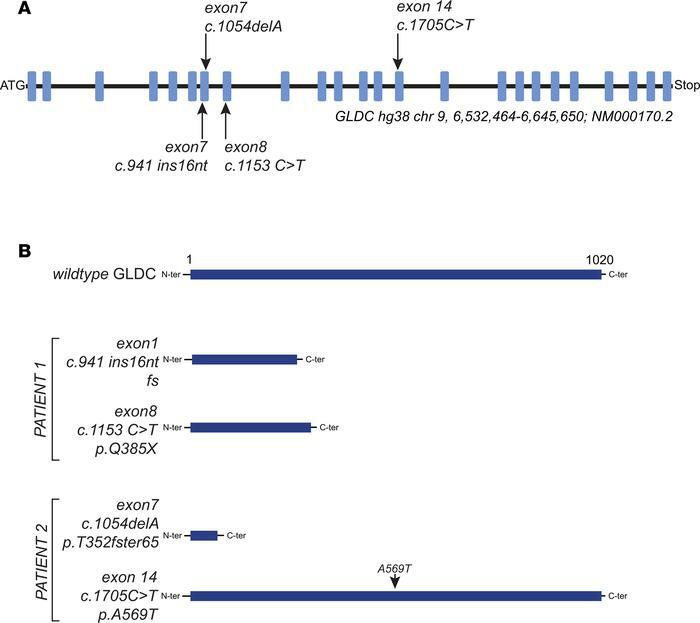 GLDC mutations associated with lethal or severe glycine encephalopathy. (A) The genetic position of each mutation is indicated on the scheme depicting the 25 exons of the GLDC gene. (B) Consequences of the mutations on the expected GLDC protein size.